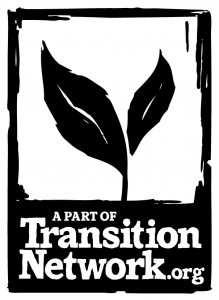 In the newsletter this month we have an unusually inspiring read that is the Transition Network’s Annual Report, and we have a 2 month Transition world round up. Our relationship with « stuff » is the theme of interviews that include New Materialism, the joy of vinyl, citizen muscle, red flipflops, owls and Love Bombing. Our Social Reporters have an International Round-up from Japan to Italy by way of Greece, and an Edge Week. Plus many more hidden gems. The Transition Network’s Annual Report and Accounts, which may sound mighty dull, but are actually an amazing read capturing what an amazing thing Transition has become. Have a look at what a wonderful thing we have all created. Some of the highlights come from places such as Chile where the local police attended Transition training, Canada developing Transition Streets, a Dutch version of the REconomy Project is launching from a building and grounds they won, a TransitionFest in Italy, taking afternoon tea in Spain, a school garden project in Romania plus lots of activities happening all around in German-speaking Transition initiatives. In the UK Crystal Palace produced a guide to a more ethical and sustainable approach to shopping, an energy fair in Basingstoke, Totnes organised a health and care Conference, Stroud held their annual Winterfest, Reading a Repair Cafe and Chichester have been planting more trees. Lots more.. If you haven’t read the winter edition of Transition Free Press yet there are some great stories in its pages about people who are using their ingenuity, skill, intelligence and good-heartedness to forge the kinds of enterprises and networks that help us do just that. As the effects of climate change become a daily lived experience for many, Sophy Banks reports on how empowering it was to come together and talk about how it feels to be seeing or experiencing extreme weather events at home or far away. How different would the world be if we paid the True Cost of food and farming? Tamzin Pinkerton, Food and wellbeing Editor for Transition Free Press, recently attended the True Cost Accounting in Food and Farming conference, organised by the Sustainable Food Trust. Our relationship with « stuff » from different angles was the theme of the December interviews. Ruth Potts is the organiser of the recent ‘Festival of Making’. She is also co-author of a pamphlet ‘The New Materialism – how our relationship with the material world can change for the better’. She describes her work as « inviting people to fall in love with stuff in a good way ». Rupert Morrison, who runs The Drift Record Shop, talks about the vinyl revival and what it tells us about how people relate to artifacts of beauty. Any sense of « we’re all in this together » appears to evaporate when it comes to those industries that use the most amount of energy. Rob Hopkins asks if given the scale of the cuts demanded by the climate change science, can any institution or company really be seen as being somehow immune? Rob Hopkins explores the impacts advertising has on us, and what it all means to our relationship with « stuff ». Oliver James is a chartered clinical psychotherapist and has written a number of books on the psychology that underpins our consumer culture. Creator of the ‘Story of Stuff’ series of videos, who has done more than anyone to popularise the idea of « stuff »? Reflecting on the highlights of the last year, Martin Grimshaw ponders on his relationship with things and the fun of unStuff. December brought an International Round-up from the Transition movement stretching from Japan to Italy by way of Greece, and an Edge Week in which Grant recalled a lovely day in October whilst Caroline reflected on a stormy evening in Lancaster. Ee, the Weather’s a Bit Funny at the Moment! Caroline Jackson on extreme weather and how growing projects will have to develop resilience. Guest Blogger Hide Enomoto, tells how hope was restored to Fujino through Transition activities. Guest Blogger Deborah Rim Moiso tells the story of how the first Italian Transition Fest was created by using an online adaptation of John Croft’s Dragon Dreaming design tool. Jay Tompt in Athens to turn Plato’s political philosophy on its head and put the Philosopher Citizen in its place. Launch online is running again from January 15th, and we have the first Transition; Launch trainings happening in Latvia, Mexico, and Israel. See below for details. There are still a few places left for our next training. Transition Launch Online is packed with imaginative ways to delve into the practice of Transition helping you to set up, run and grow a Transition Initiative. It is also useful for people who have recently become involved in Transition and want to develop the essential skills and insights to help their Transition Initiative become a success. Our theme on the website for January is how best to scale up Transition so as to be proportionate to the challenges we face. Can it be done?